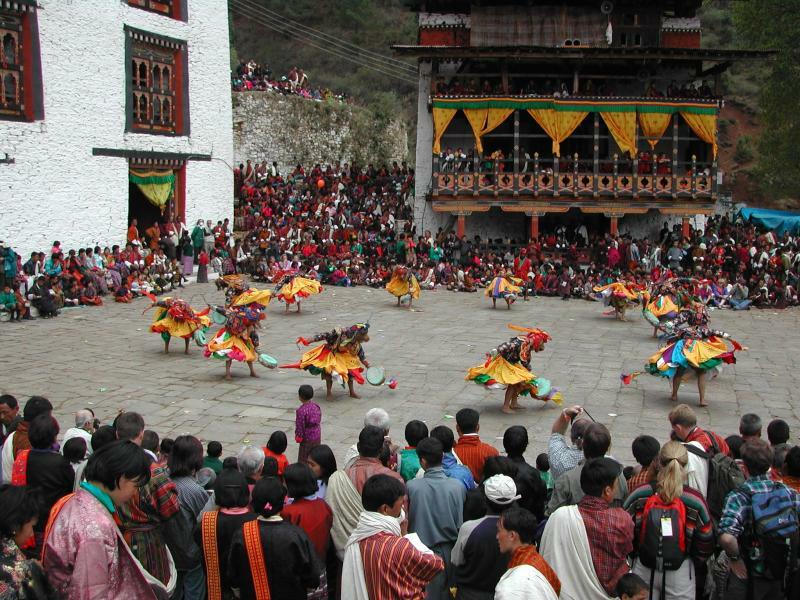 The Bhutanese have numerous festivals throughout the year. They typically last 3-5 days. There are many stylized dances, each telling a particular story. Holy images are also paraded about or placed on display for ritual viewing. The festival in Paro which I attended is called a tsechu, which is a festival in honor of Guru Rinpoche (see a later photograph in this series for an explanation of who this important person is). It is held annually on the 11-15 of the 2nd Bhutanese month (the Bhutanese have a complex Buddhist calendar that evolved from the Tibetan calendar), which has no fixed date in the western calendar, but always falls during March or April).